To animate the big picture of the Erasmus Program, one must seek out the illuminating details. Here are a few, including the experiences of LMU‘s eldest Erasmus alumna, Nicolai’s stay on La Reunion, and Pierre’s vital link with the scheme. Resolution No. 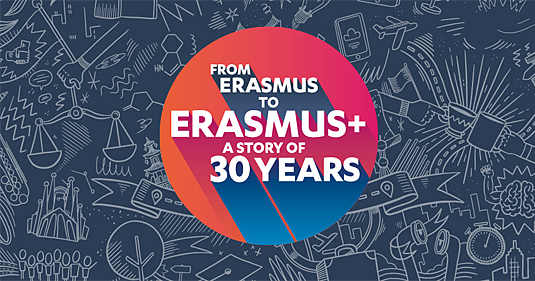 87/327/EWG, the bureaucratic instrument that gave birth to the European Union’s Erasmus Student Exchange Program, was passed by the European Council 30 years ago. The scheme was viewed with considerable skepticism, not only by the wider public, but also by universities including LMU. At the time, few would have been willing to bet that the idea would soon prove to be a runaway success. The pioneering LMU students who first recognized the program’s potential, and wished to profit from it, were all advised and supported by Jean Schleiss. Jean, herself an expat (she is a native of Scotland), was the person responsible for all outgoing exchanges at LMU in the late 1980s. 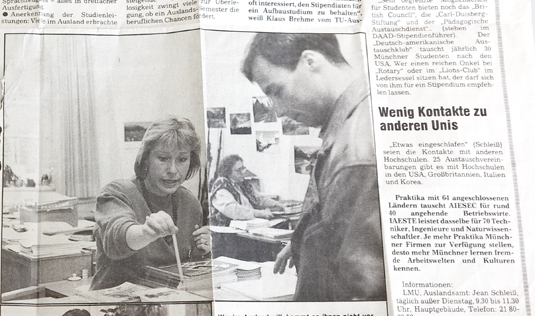 “In those days, students who wanted to study abroad were very much the exception,” she recalls. But that has certainly changed in the meantime: Now, on the order of 1000 LMU students make use of Erasmus to study abroad each year, and LMU has official ties with more than 300 partner institutions in Europe. When the program began, Schleiss was still on maternity leave. But then she got an urgent phone-call from her Head of Division: “You’ve got to come back,” he said. “This program is the start of something really big.” Schleiss wanted to be part of it, and returned to work before the end of her allotted leave. She is now Deputy Head of the International Office, and her enthusiasm for Erasmus is undimmed – as anybody who has ever “booked a trip” with her can confirm. Some of LMU’s international cooperations go back to the program’s earliest days – for example, the contacts between the Faculty of Veterinary Medicine and the École Nationale Vétérinaire de Toulouse. “Every summer, the Faculty organizes a barbecue on Bastille Day, July 14th, France’s national holiday,” says Professor Walter Rambeck, who has coordinated the Faculty’s academic exchanges since the beginning. He particularly recalls Isabelle. Isabelle graduated in Toulouse, but she did her doctoral thesis – and found a husband ­ – at LMU. Pierre, seen here with Professor Rambeck on the occasion of a visit he paid to the child’s parents, is one of the many happy consequences of the Erasmus Program. “Over the course of the last 30 years, our collaboration with Toulouse has resulted in 13 German-French marriages,” Rambeck says. Another engagement with the Erasmus Program began with the sad end of a marriage. Following the death of her husband, a prominent physicist, in 2008, Anita Ehlers decided to return to university to study Linguistics, Turkic Studies and Musicology at LMU. Some time later, she hit on the idea of improving her Turkish by attending university in Istanbul, and submitted an application to Erasmus – although the online mask for “Date of Birth” did not go back far enough to accommodate her case. The application was successful nevertheless, and she and her fellow-student and Erasmus voyager Burçin shared an apartment in Istanbul. “Of course, we both had to make adjustments. After all, she was 27 and I was 75 at the time,” she points out. So while Burçin plunged into student life in the Turkish metropolis, Anita Ehlers devoted most of her time to her student research project at Yildiz Technical University – and she donated her Erasmus Stipend to the Faculty’s Student Union at LMU. Then there is Jorge’s story. He had packed his bags and set out from Spain, intending to stay in a hotel until he found accommodation for his spell in Munich as an Erasmus exchange student. When he arrived, he ran into an unexpected snag: the Oktoberfest was still in full swing, and all the hotels were full. At the end of his fruitless search for a room, he turned up at LMU’s International Office just as Jean Schleiss was about to leave to pick her son up. As an experienced problem-solver, she simply took Jorge along with her, and 2 hours later he found himself dicing vegetables in her kitchen and happily chatting with her husband about the latter’s experiences in Spain. And when the Oktoberfest ended, Jean soon found a place for Jorge in a students’ hostel. When Dilber came back from her stint as an Erasmus exchange student, she was surprised to receive many congratulations. At first, she was at a loss to know what she had done to deserve them. It turned out that Dilber was the 400,000th German student to have benefitted from of the program. However, congratulations from the German Academic Exchange Service (DAAD) were only the icing on the cake. Like all her predecessors, Dilber’s experiences had taught her that Erasmus is not only about totting up ECTS credits. As she explained on her return, her 9 months in the program had helped her to recognize and accept that she is both German and Turkish. Erasmus can even pilot one to a pinpoint landing on a small island some 9000 km from Munich. The French island of La Réunion lies about 800 km east of Madagascar and LMU has a cooperation agreement with the island’s university in the capital, St. Denis. 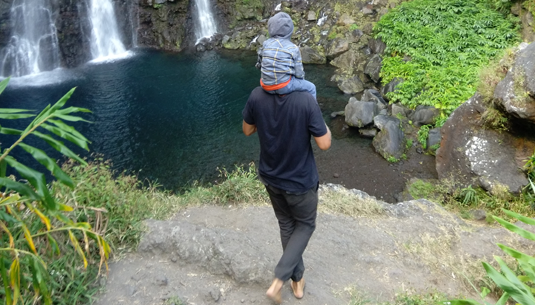 LMU student Nicolai spent a year there, together with his young son. “It was certainly a more adventurous choice than most other Erasmus destination,” he says. Nicolai is one of those venturesome souls who go surfing on the icy waters of Munich’s Eisbach, so perhaps his choice is not as surprising as it might at first appear. Reunion offers rather more inviting opportunities for devotees of the sport, and he often took advantage of them. 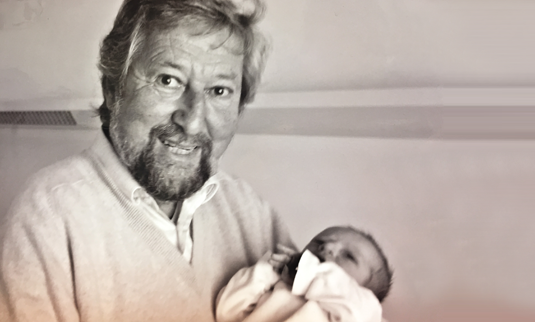 His year on the island on the island forged a close bond with his son and was a ‘super’ experience, he says.